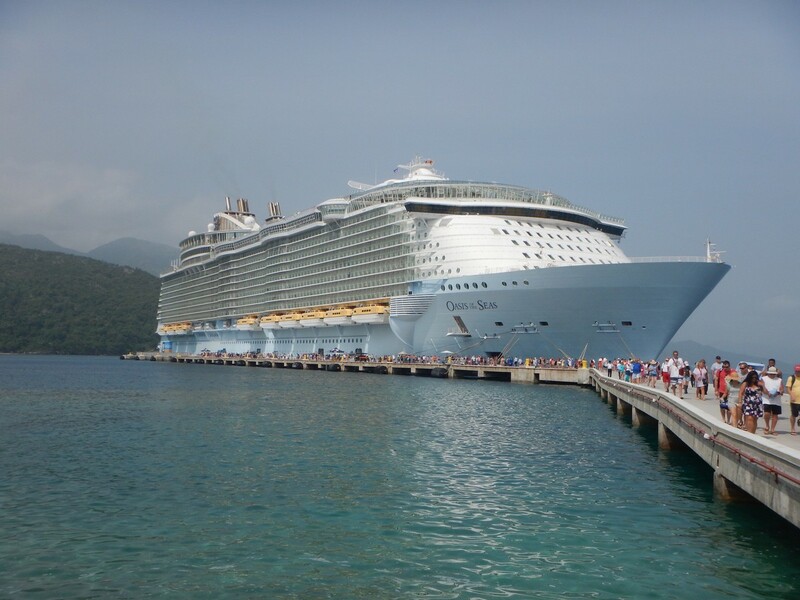 Today was our third and final port stop in Royal Caribbean’s private island Labadee, Haiti. I woke up early today and decided to go out to the lookout viewing area on deck 14. This is actually a couple feet away from my cabin, so it’s a nice perk if you pick a forward cabin on deck 14. The sun was just starting to rise, so I decided to do a quick morning Periscope (live streaming app). Well during my periscope it was featured, by periscope to draw more viewers in. At the time of writing this it’s over 143,000 views, well I finally got my 5 seconds of fame! We didn’t arrive into Labadee until 9:30am, so I grabbed breakfast to go from Park Café to enjoy on our balcony. 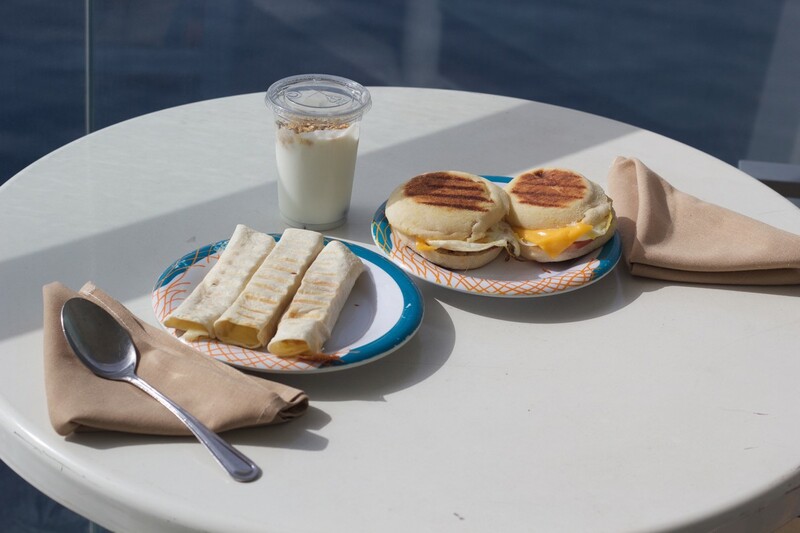 Their breakfast sandwiches are so good, and included in the cruise fare. It was also fun to see us pull into port from the balcony, while enjoying breakfast. This morning we had reserved the Jet Ski tours from the online cruise planner. During a recent sale they had the tour 20%, so we paid around $75 each to have our own. We checked in and signed our waivers and were asked to meet our group leader by the lockers. I left all our personal items on board, because I figured they wouldn’t have lockers big enough for all my camera equipment and snorkel gear. 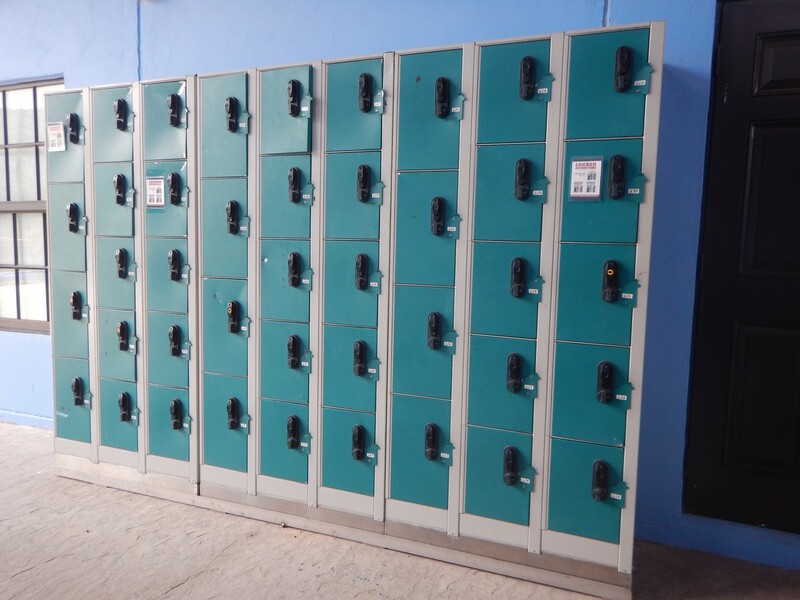 They do have small lockers to rent for $8 for the day if you would rather no go back on board for items after a tour. 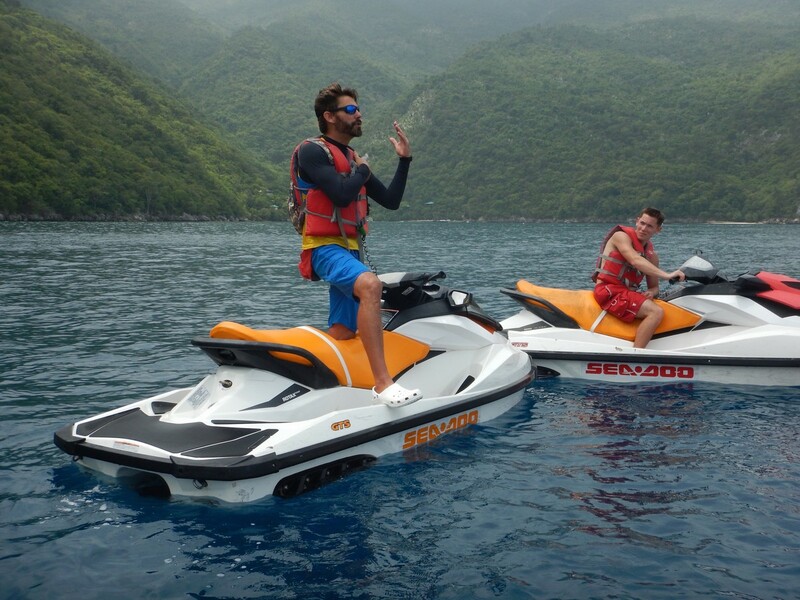 The Jet Ski tour was likely the highlight of my trip; it was such a unique way to spend in Labadee for me. We stop at different down the cost and our leaded would tell us something about what we were seeing. 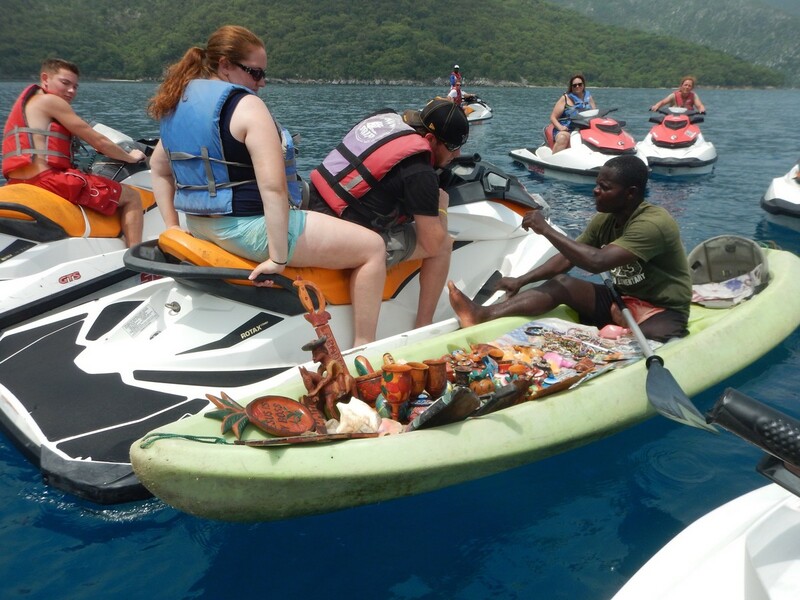 At one stop during the tour locals kayaked up to our jet skis trying to sell us things they had made. The only downside to the tour is it only lasted for 50 minutes. I talked to a lot of people who also did the tour throughout the day, and everyone said I wish it were longer. 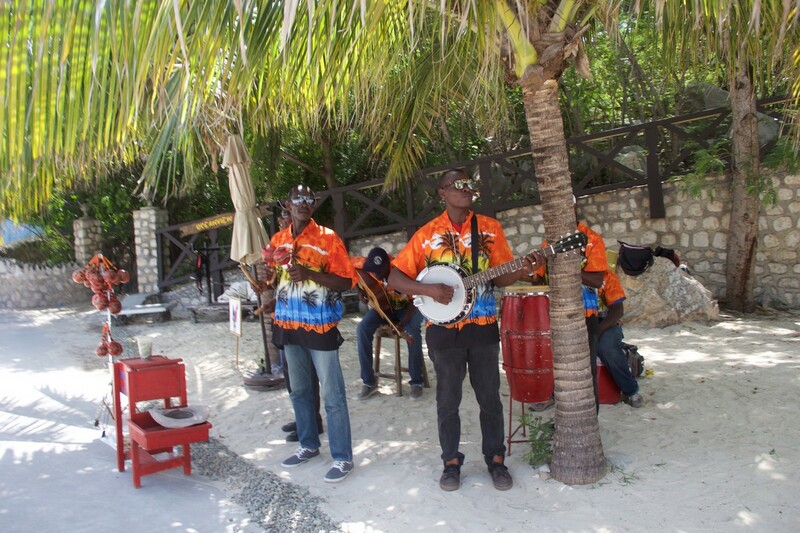 After our tour we quickly went on board to grab our items for the beach day. It was actually very easy because there were zero lines at noon. 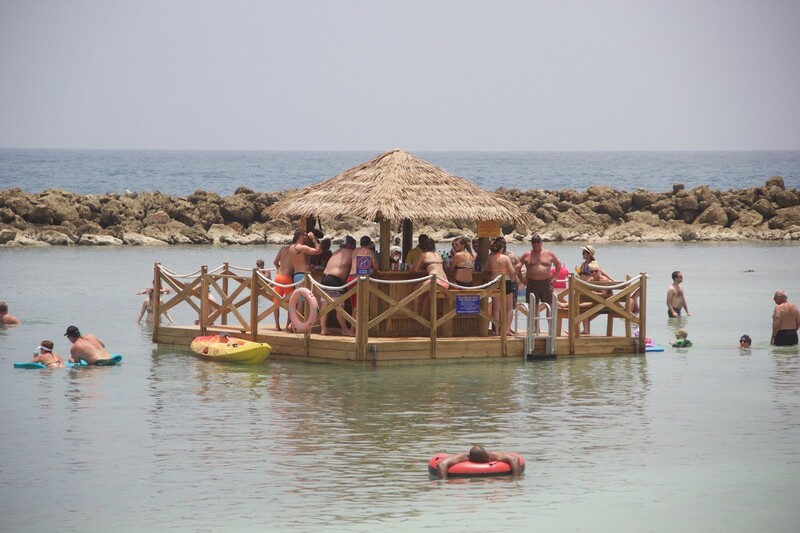 Once back in Labadee we headed straight to the floating bar on Adrenaline Beach. I was surprised to find a lot of options for chairs at 12:30pm. Now that we settled in I went to explore the new bar. 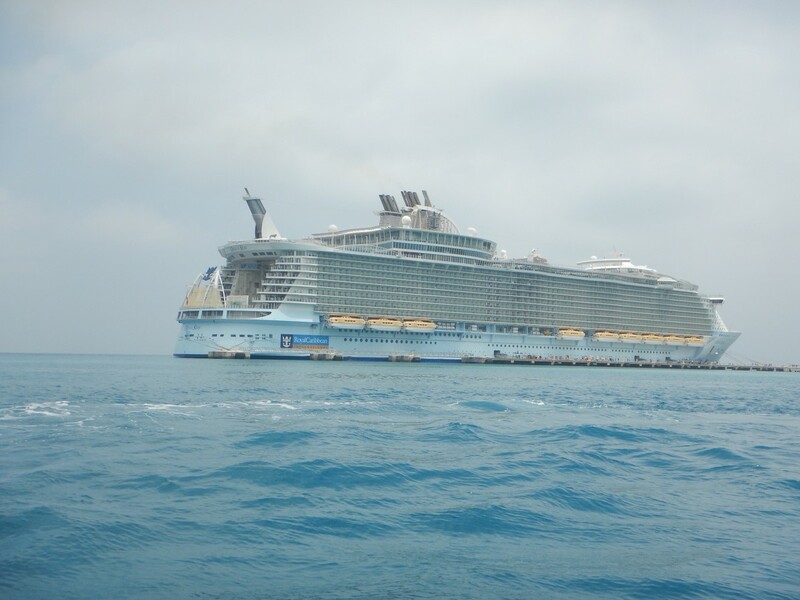 First impressions were it’s much larger than the one in Coco Cay, and can hold a lot more people. Only downside was there is so much rock to walk through to get out there. Honestly, I wish I had brought water shoes out there to swim. 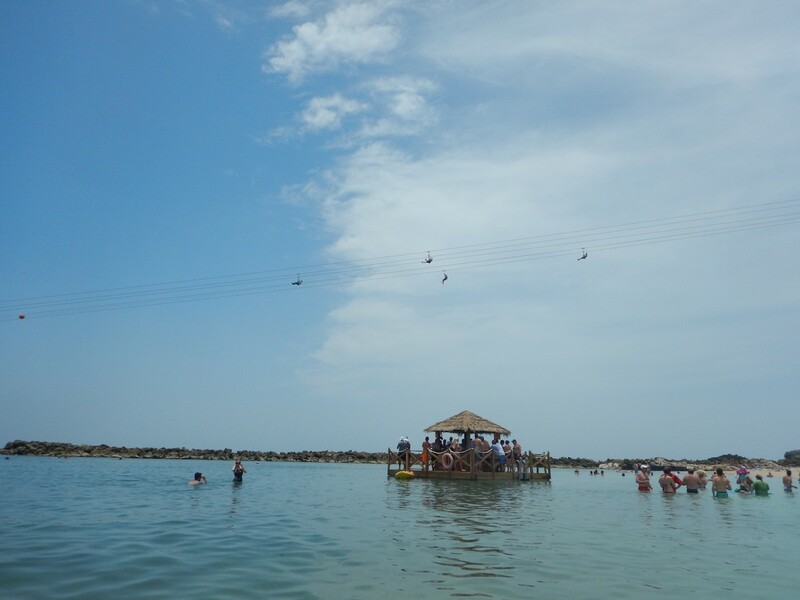 I think I much prefer Columbus Cove in Labadee for swimming. 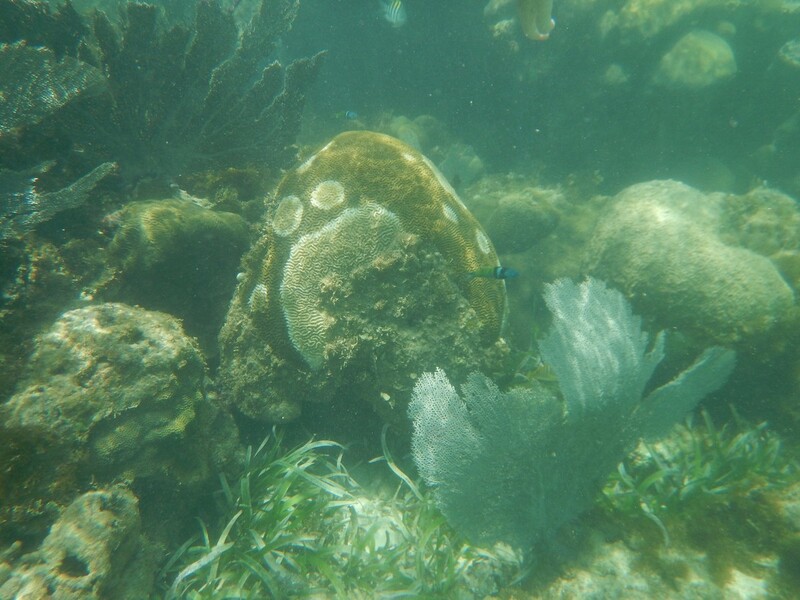 We also did a little snorkeling but really didn’t see too much in the area we were in. Around 3:00pm we headed back on board, and I need some food! I realized I skipped lunch, so off to Sabor I went. 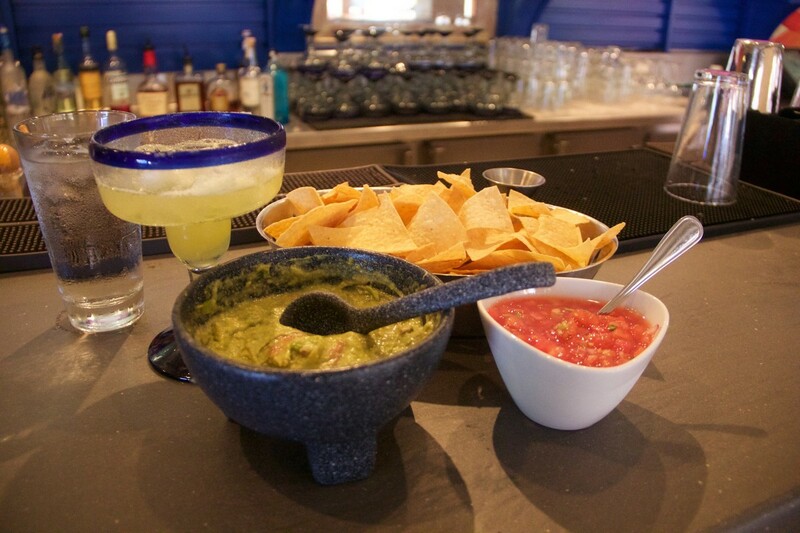 I just sat at the bar for a drink and guacamole to avoid the $19 cover charge. I’ve made some friends with the staff in here, they all know me from coming daily! For dinner tonight we went to Giovanni’s Table. For those keeping count, this is our third dinner here. 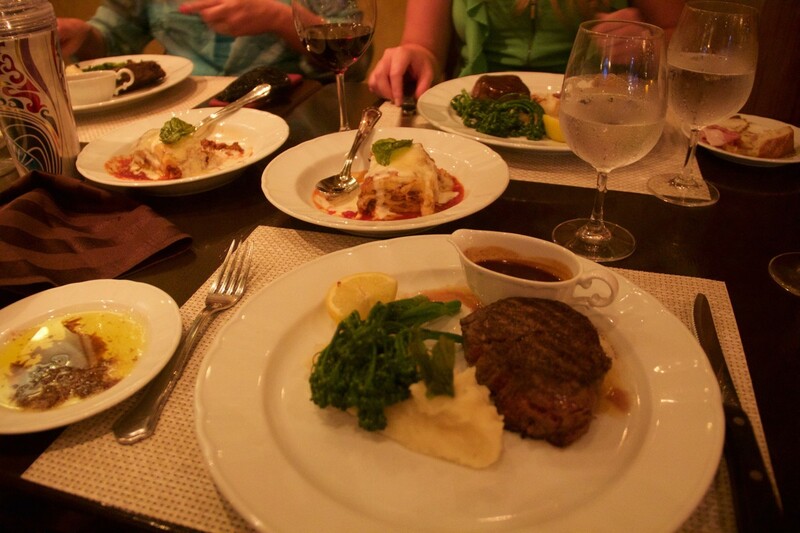 I ordered the filet and lasagna in the middle for everyone to share. I’ve noticed they always have lasagna to serve if you just ask for at dinner. 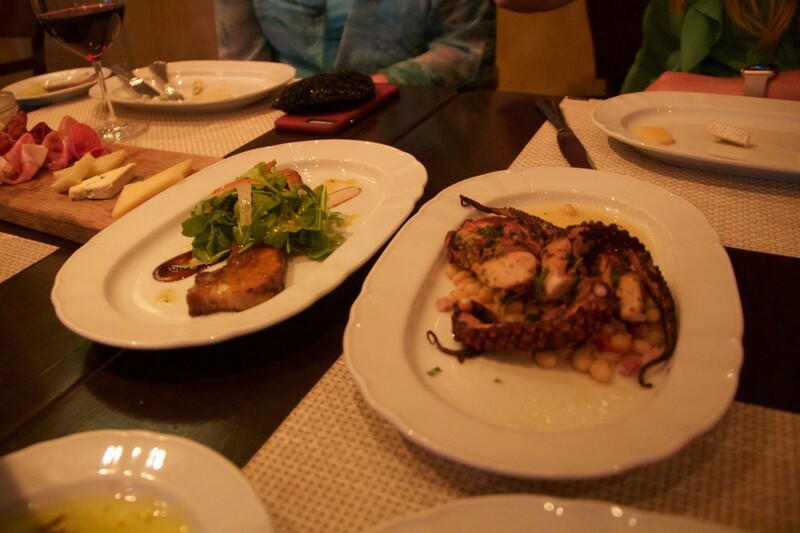 Our waiter was absolutely outstanding tonight; he really made this our best meal of the week. I find that the food is great everywhere on the ship, but it’s the staff in Giovanni’s that keeps is coming back, really great crew in here. 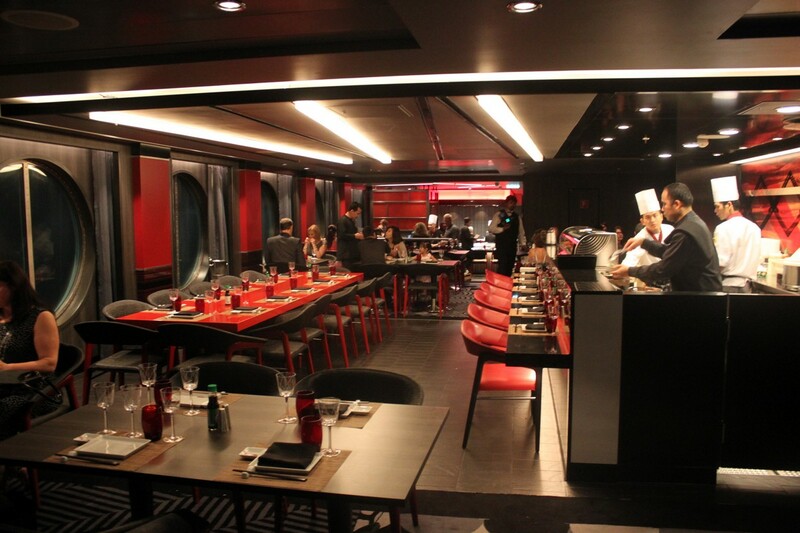 We had come fly with me reserved for 8:00pm but were having so much fun at dinner we actually missed the show. They always asked if you have a show in the evening so they can serve you quicker if needed. 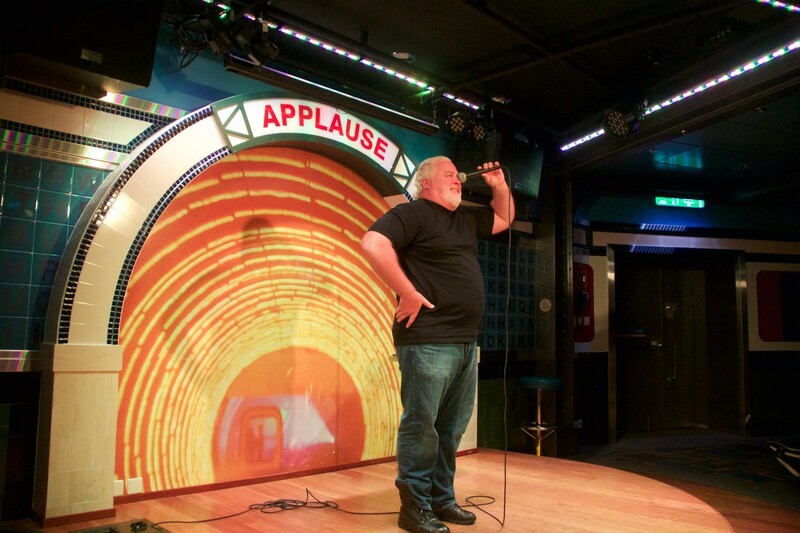 I also had the comedy show reserved for 10:00pm. We get in line around 9:30pm because I just have to sit front row in comedy shows hoping they pick on me. 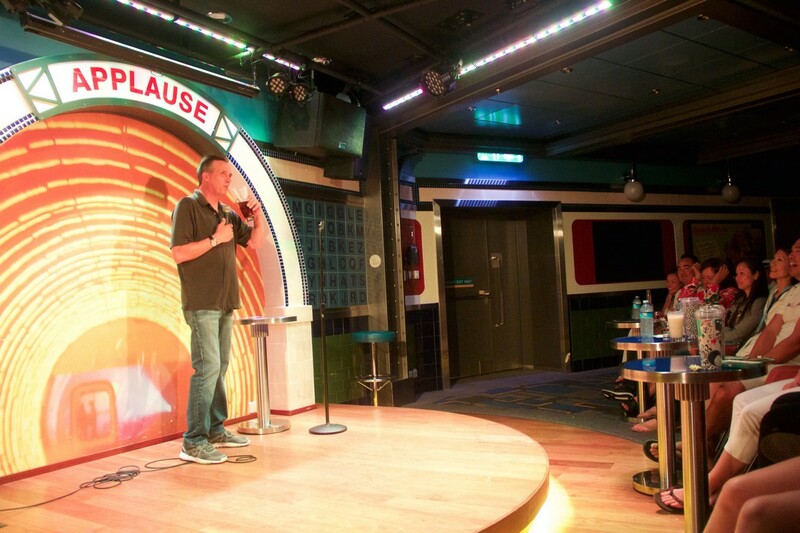 Tonight’s comedy show was really entertaining, but it’s not a show for the kids. After the comedy show we headed to the pub to listen to their singer before bed. There wasn’t much of a crowd tonight in the pub. I think everyone was tired from the long beach day. I didn’t stay here long and called it a day around midnight. 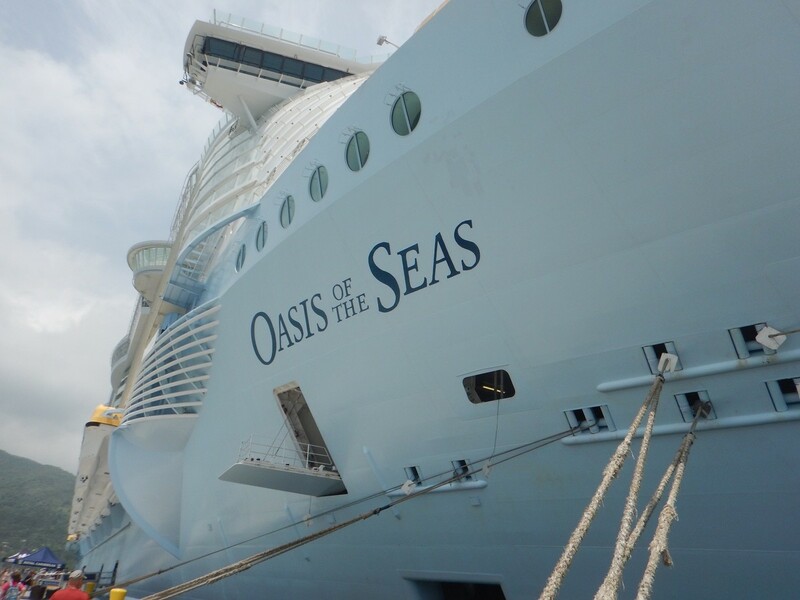 Tomorrow is our final day on board, it’s a sea day as we head back to Port Canaveral, Florida.